Adobe announces this week that Flash player will be phased out by 2020. Another browser plugin bites the dust. The once commonplace Adobe Flash Player will be phased out by 2020. Adobe’s announcement marks the end of an era for the plugin that played a significant role in bringing video, gaming and animation to the web. While not a surprise for those familiar with HTML5 and open standards, the announcement does give adequate notice to the many educational, gaming and government websites that currently, or until recently, used Flash. For example the ABC recently updated from Flash to HTML5 this year for ABC iView, in response to user feedback. So how has the web reacted to this announcement? Microsoft plans to disable Flash in Edge and Internet Explorer in mid-to-late 2019, with a full removal from all supported versions of Windows by 2020. Google began phasing out support for Flash this past year and will continue to do so, with full details outlined in their blog post. Mozilla has published their end-of-life roadmap for Flash to support site authors, allowing users to choose which websites can run Flash from next month. 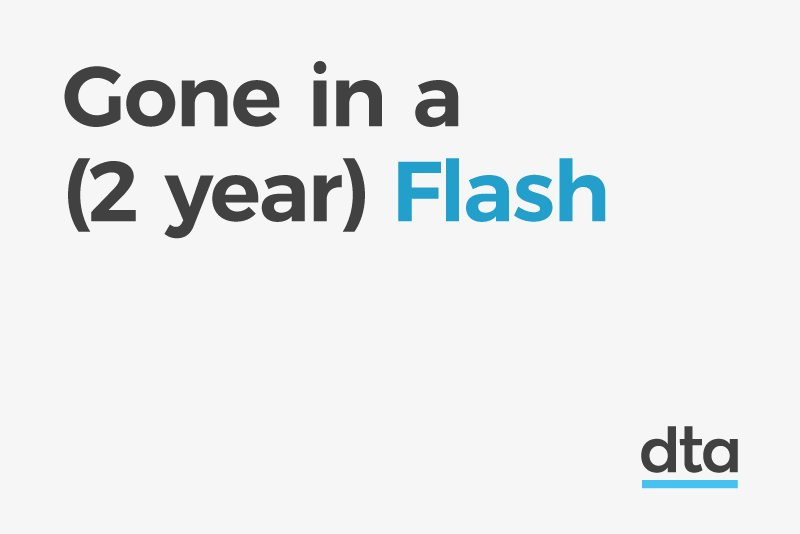 Apple users have been using the web without Flash since 2010, with the iPhone never supporting Flash. Safari currently requires approval on each website using the freeware, even when Mac users opt to install Flash. So what does this mean for the everyday internet user? As websites move to open web standards, the only thing users may or may not notice are pop ups asking to run Flash. By 2020, those prompts will disappear. Flash Player may be forgone but not forgotten. It played a contribution to our web surfing experience from as far back as the 1990s and inspired many to see the interactive potential of the internet. Marita is the Community Engagement Lead and Stephen is the Content Designer for the DTA’s Digital Product and Services Team.